These courses are open to members of IBEW Local 340, travelers, and NECA. Classes held at the Sacramento Center/JATC, 2836 El Centro Road, unless otherwise noted. Courses are filled based upon the order we receive the completed registration. Priority is given to those who provide $25 deposits (per course); refundable upon course completion. Complete the registration form and submit to the address shown. Retain a copy for your information. You will be contacted only if the class is already full. For additional information, call 916-646-6688. This is a free online course. No course deposit is required. We will send you the internet address upon enrollment. Upon course completion, provide the completion summary page to the Training Center office for entry onto your transcript. This is an online course. Contact the Training Center for enrollment. Deposits for this class are deposited upon enrollment. Notify the Training Center after satisfactorily completing the course (75% or higher) for entry onto your transcript and a refund of your $25 enrollment fee. This is an online course. We will send you the internet address upon enrollment. After passing the course (75%), provide the completion summary page to the Training Center office for entry onto your transcript & refund of your $25 deposit. Review of drawing and labeling 3-way and 4-way switch circuits and GFCI�s combined with hands-on practice of circuit installation. Note: This is one of the courses in Pending Exam series. Review of drawing & labeling the components of a basic motor control circuit with hands-on wiring of a stop-start-jog circuit. Bending 90�s, offsets at 30�, 45�, and 60�. 3 & 4 point saddles using the arrow method. Topics covered are relevant NFPA 70E Safety, PPE, PI&D Control, Torque Control, Constant Control, Local vs External Use, Min & Max Hz, Harmonics & Noise, Parameter Tuning, Flux Braking via VFD, Accel/Decel Control, & Commissioning. Certification on 10 different safety topics to convey the knowledge, skills and abilities to identify and mitigate job-site hazards. Review of Ohm�s Law and calculating voltage, amperage, and resistance in series, parallel or combination circuits. 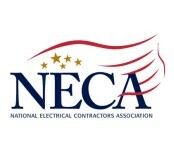 This is an in-depth preparatory course for electrician�s state certification covering basic electrical formulas and an in-depth review of the current National Electrical Code. Topics and definitions of �bonding� vs. �grounding� and the importance of proper conductor size, color, and termination. Review of 3-phase delta and wye transformer focusing on the primary and secondary hook-up of each transformer. Electrical safety work practices for Hazard Risk Evaluation, Arc Flash, Approach boundaries, Job Briefing, Permits, and PPE. Project planning: plan analysis, specs, submittals, take-offs & detailing of blueprints, establishing site elevations, and hands-on training with an actual job for job sequencing and planning. How to install lighting controls, lamp/ballast systems, line/low voltage switching controls, dimming controls, occupant sensors, photo-sensors and controllers, demand response controls, etc. Note: This class has a 10-12 hour online prerequisite. Please contact us and we will explain how to complete the online course. Open to JW only. Job-site skills in CPR and First Aid providing 2 year certification. OSHA Standards, Focus Four Hazards, Personal Protective Equipment, Health Hazards, Stairways/Ladders, and 6 more topics. Participants receive a certified OSHA-30 completion card. Re-certification course for those with 2-year certification. Safe operation of rigging equipment including proper rigging technique, theory, tool selection, and sling angle factor. Knowledge of schematics, theory, UPS systems, generator systems, power systems redundancy, predicting the likelihood of equipment failure and a basic program for clearly identifying problems. Diagram analysis for troubleshooting will be practiced. Learn how to certify the installation and operation of lighting controls and devices in accordance with the Building Energy Efficiency Standards (Title 24, Parts 1 and 6). Note: Open only to members who are already CALCTP certified. Note: Evening Classes are not held on the 1st Wednesday of each month to accommodate attendance at the union meeting. AutoCad and Welding classes are available through American River College. The JATC Trust will reimburse a member�s cost for tuition and actual book fees (not to exceed $100) for successfully completing (C or better) the class at a community college. The member must submit receipts for tuition and books and proof of completion of the course.